Taiwan’s efforts to attract tourism, including rewards to individual visitors, and the 2008 permission of tourists from mainland China proved successful: Annual numbers of foreign visitors are on the rise, with 2010 expected to see a total of 5.4 million. Premier Wu Den-yih on Saturday [27 November] greeted the 5 millionth foreign visitor to Taiwan in 2010 and said he expects the number of foreign visitor arrivals to the country to hit 5.4 million by the end of this year. As an incentive to tourists, the Tourism Bureau began giving rewards to the 1 millionth, 2 millionth, 3 millionth, 4 millionth and 5 millionth visitor beginning last year. In a reception held at the Executive Yuan, Wu welcomed Mizuho Kimura, a 31-year-old Japanese woman, who said she booked the trip because of Taiwan's gourmet food. The lucky office worker was given a credit card with which she can purchase up to NT$500,000 (US$16,393) worth of goods in Taiwan and various Taiwanese agricultural specialties and delicacies. "Is it a dream?" the first timer to Taiwan said, adding that she couldn't believe what had happened to her. She said she probably will spend the money on spa service, gourmet food and tea, with her four travel companions. Besides attributing the all-time-high visitor arrivals to everyone's efforts, Wu expressed hopes that a total of 96 visa-waiver and landing-visa programs granted by foreign countries to Taiwan by the end of this year could further promote international travel to and from Taiwan. 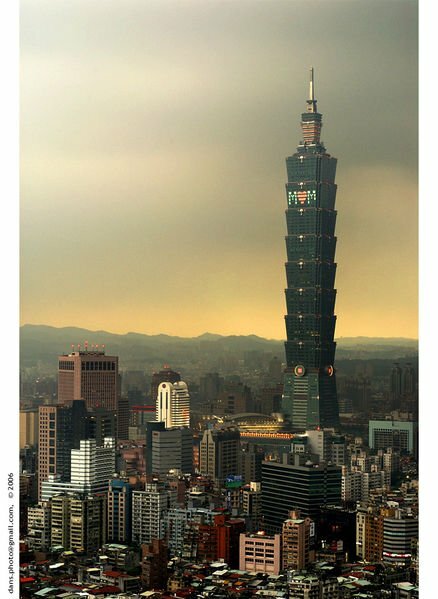 Taiwan has been stepping up efforts in the last three years to attract more tourists to the island. Previously focusing on the high-tech and manufacturing sectors, the government now sees tourism as an important way to diversify the island's economy and raise the island's profile. In previous years, Taiwan only saw around 4 million visitors a year. The increase in visitors is largely helped by China and Taiwan agreeing to allow Chinese tourists to visit starting in 2008. The number of Chinese tourists visiting Taiwan will mark the biggest group of visitors to the island, and is expected to exceed 1 million this year.